In 1986, the MLK Unity Week Celebration started with just a group of people gathered around the flagpole outside of City Hall to reflect on the words and purpose of Dr. King’s life. 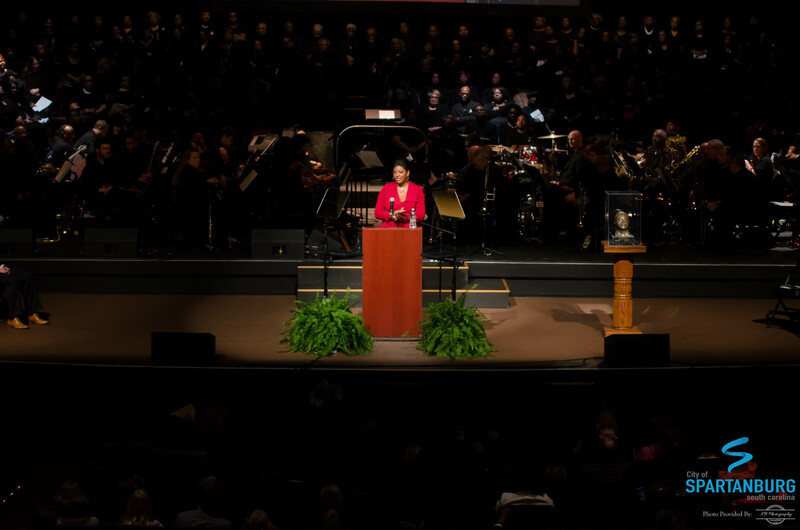 From the seeds sown there, Spartanburg's annual celebration has grown to include an annual gathering attended by thousands each year, and has included such notable keynote speakers as James Earl Jones, Ted Kennedy Jr., Dr. Mae Jemison, Morris Dees, Jackie Joyner-Kersee, Miss America 2004, Erica Dunlap, and former Charleston Mayor, Joe Riley. The Unity Week celebration includes a Unity Walk, a Day of Service, a movie night and the annual capstone celebration event on Monday night. See the schedule on this page to the right for complete details. The MLK Unity Week is a centerpiece of the City's Be One initiative, which includes a variety of community diversity events throughout the year. This year the Unity Week committee has decided to give out two scholarships. The Dr. Martin Luther King, Jr. Unity Celebration Scholarship is an opportunity to provide academic financial support to current high school seniors that attend school in Spartanburg County. Two $1,000.00 scholarships will be provided to the recipients of the scholarships to be applied to the higher learning institution they select. Students will need to provide a 500-word essay on provided topic. “I Am” essay in which you focus on an aspect of your personality, your cultural heritage, your values, or any aspect of your identity to communicate with others about yourself. Have you ever been stereotyped because you play a musical instrument or a sport? Have you ever been discriminated against because of your gender, race, sexual orientation, or physical abilities? Who are you? Write this essay to help communicate who you are and your unique role in your community. For more information or to apply for this scholarship, click here. Darrin is a leader across sectors, including government, nonprofits, higher education andprivate industry. Before joining Coastal Community Foundation, Darrin worked as President & CEO of Capital Area United Way in Baton Rouge, LA and Vice President of Community Impact at United Way of Greenville County. Darrin participated in The Riley Institute’s Diversity Leadership Institute in 2010 and is a Class of 2018 Liberty Fellow. 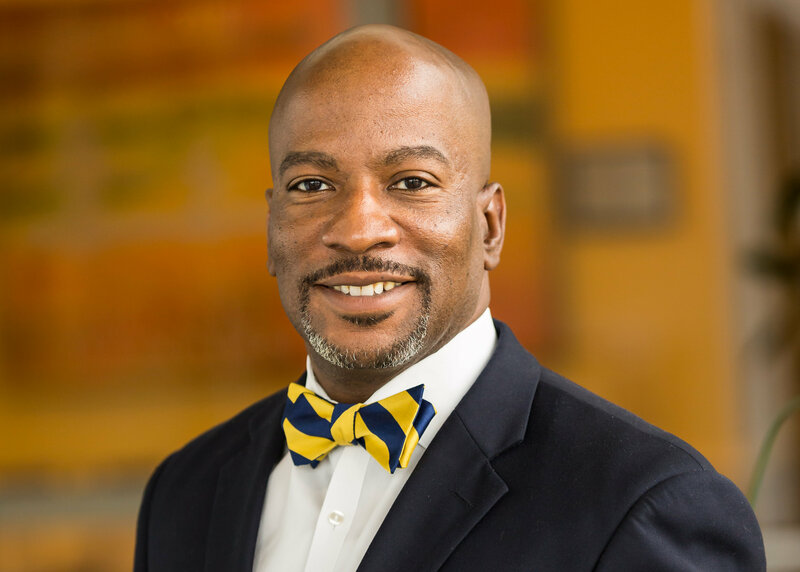 He serves on the boards of MDC, Inc. in Durham, NC, the Lowcountry’s Tri-County Cradle toCareer Collaborative, and the SC Governor's School for Science & Mathematics Foundation. In his spare time, Darrin enjoys reading, writing and playing golf. A U.S. Army veteran, Darrin received his undergraduate degree from Wofford College and his masters from North Greenville University. Contact Darrin if you have an opportunity for collaboration in the community or to learn about the Foundation’s strategic vision. Movie Night - "King in the Wilderness"
6:00p.m., Spartanburg County Public Library Headquarters, 151 S Church St.
9 a.m., Spartanburg County Public Library Headquarters, 151 S Church St.